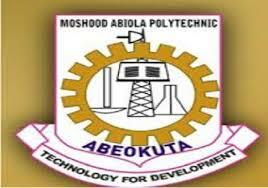 Moshood Abiola Polytechnic (MAPOLY) Higher National Diploma HND Acceptance Fee Payment Amount, and Guidelines for Newly Admitted Students for 2018/2019 Academic Session. All candidates who were offered provisional admission into the Higher National Diploma programmes for the 2018/2019 academic session, are hereby informed that the acceptance fee payment and guidelines has been announced. Candidates, who must have been offered provisional admission on the respective lists, however have till Friday, 30th December, 2018 to pay the Non-Refundable acceptance fee of Twenty-Five Thousand, Five Hundred Naira (N25,500.00) only. Admitted candidates are to login in to http://mapolyng.com/apply/index.php?p=login to pay the acceptance fee. Candidates who have been offered provisional admission on the first and second batch lists for Higher National Diploma programmes should visit their school offices to commence their full registration immediately.